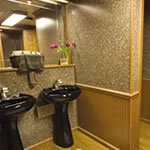 Request more information about this product. 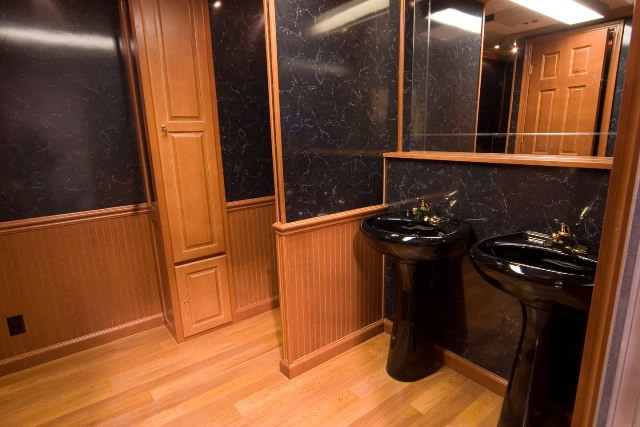 This 15' luxury trailer is complimented by 3 private restrooms for the women and 1 private restroom for the men with 3 urinals. 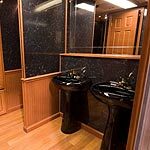 The interior hosts pedestal sinks with hands free spigots, low flush push button toilets, large mirrors and is heated, air conditioned and has hot water. 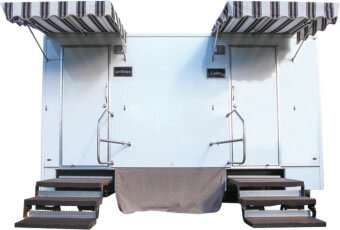 This trailer will handle up to 150 guests. 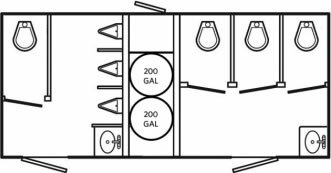 The The 15' Fantastic requires the following for operation: two 20-amp, 110 volt receptacles no greater than 100 feet from the trailer and a water connection from a standard spigot no greater than 150 feet from the trailer. 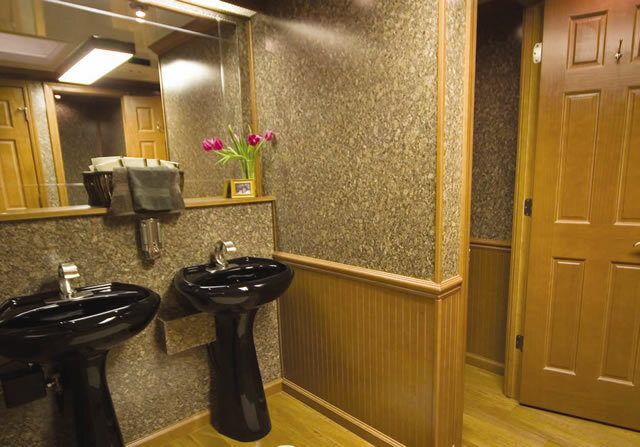 © 2010 Maryland Portable Sanitation. Website Design by Digital Hill.